Kati is one of my friends, who is more crocheter than knitter. She wanted to knit a shawl - with holes, but not lace. She didn't found a pattern she liked - so I designed one for her. If you didn't earlier, read the first part here, and the second here. Now that I became confident knitting all the different stitches in the pattern, the only task left was to keep repeating until I reach the size I needed. I know that experienced knitters can just take a look at their knitting and see/count the rows but I tend to obsess about it and wanted to keep track where I am in the 16-row repeat of the pattern. This made it unnecessary to count, I just moved the paperclip down when I completed a row. 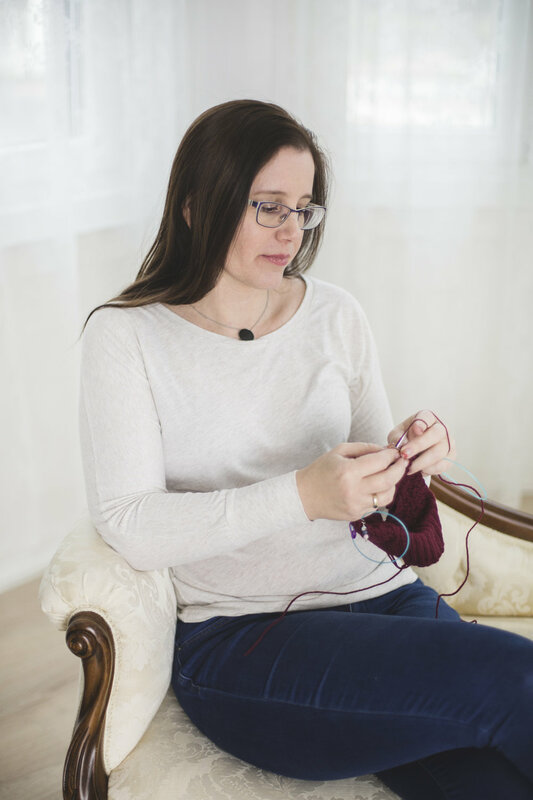 You can find more ideas to keep track your knitting in this post.